Someone asked me today why I like older movies better than new ones. This is not an easy question to answer to everyone’s satisfaction, but I will give it a try. They’re better. This is not to say that all old films are great, but they are better on the whole. The level of storycraft in the older films is higher. It just is and as further proof I give you another example of a film I like—The Apartment. 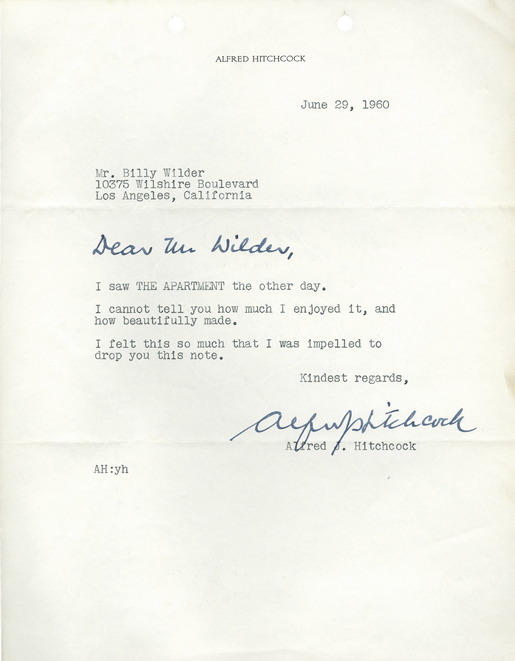 Anyone who talks to me for about 30 seconds finds out that Billy Wilder is my favorite filmmaker. He understood how to tell a story as well as anyone in cinema ever has. What makes him so good? No fat. Everything matters. He writes with the steady hand of a master surgeon. He is always advancing, plot, character, or theme. Sometimes all three. He once boasted that there was never a phony shot in any of his movies. What he meant is that he never put his camera anywhere where it didn’t help to tell the story. He was not a show-off—he was a craftsman and a storyteller. Just as with his camera shot choices he also never had a phony scene, sequence, character, or line. Everything matters. Every choice is made in the service of the story. No fat. Nothing phony. So many modern-day filmmakers are trying so hard to be noticed. The shots are there to be noticed. The characters are there to be noticed. The editing is there to be noticed. It all has the effect of pulling us out if the story rather than pulling us in. All phony. All fat. Wilder had a highly successful screenwriter career where he honed his storycraft before becoming a director. The story was always paramount with him. I tell my students that you are not the master of your story, but a slave to it. You must do what it needs, not what you want. On the surface The Apartment is about a man who lets the higher-ups in his office use his apartment to have adulterous affairs, and how he falls in love with one of the women. But there is a deeper story about two people who learn to value themselves enough to stop prostituting themselves. It is a marvel of construction and the more you learn about story construction, the more you will marvel. The film is a film made by a man at the top of his craft. 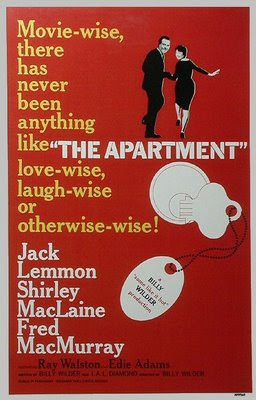 In the 100-plus years that people have been making movies few have made one as good as The Apartment. Do yourself a favor and see this film.